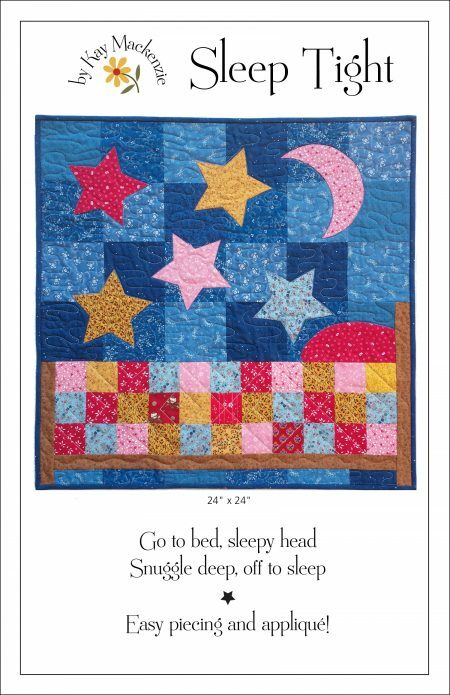 Longtime readers may remember this design from Volume 6 of Quiltmaker’s 100 Blocks. Now I’ve made it double size and released it as a pattern! This such a fun one. The piecing is super simple. 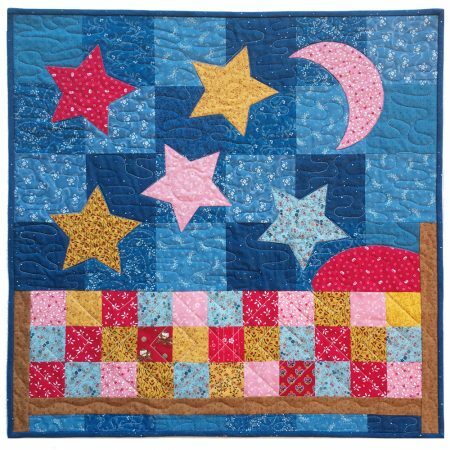 The bed, the quilt, and the sky are put together in a specific sequence that make the design look intricate, but really… oh so easy. Sleep Tight is available now from my website or Etsy shop, links below. Very cute, would look great in any colors for boy or girl.